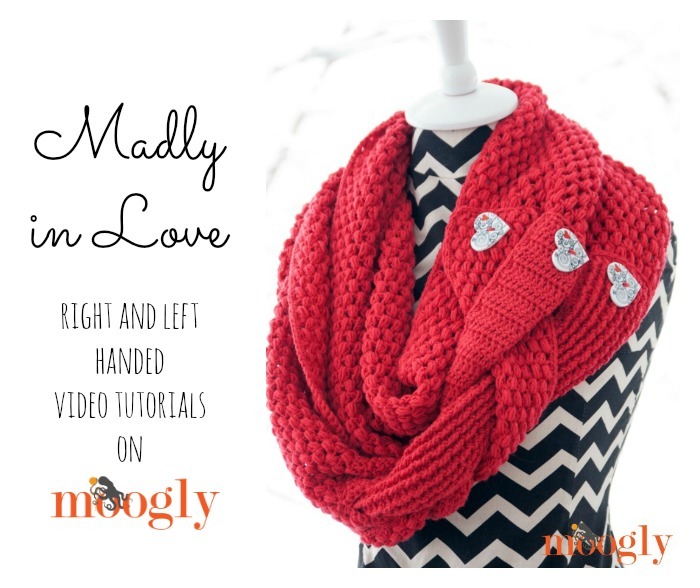 How to #Crochet the Madly In Love Pattern on Moogly! The Madly In Love Mini Crochet-Along is underway as I write this, and I’ve had a few questions about the main stitch pattern used. It’s a simple one – but the look and texture of all those puff stitches is just delightful! Here’s how it’s done. If you would like to learn more about post stitches, you can watch the puff stitch video HERE. And if you’re wondering what all this Madly In Love business is about, then click HERE! 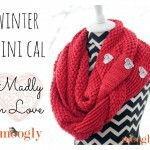 Part 2 of the Madly In Love pattern will debut 2/13/15, so if you’ve happened across this post after that date, the whole pattern is available. If you’re reading this before the 13th, then stay tuned! Thanks for watching! Get Moogly on your favorite social media sites: Facebook, Twitter, G+, Pinterest, Instagram and Tumblr, and sign up for the Newsletter so you don’t miss a thing! I have a question about the puff stitch. On your other puff stitch video you have the “Moogly Way” “Finishing the Puff Stitch the Moogly Way: With all 9 loops pulled up tall on your hook, yarn over and pull through just the first 8 loops. 2 loops now on the hook. Yarn over and pull through the last two loops. Note that this swatch also started with 5 sts, and the final swatch also has 5 sts – this method makes it easier to keep your stitch count correct. I know we are only dealing with the 7 stitches but is it ok to use this method for the CAL? Glad you put up the video !!! And you know what ? 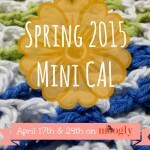 It so happens that I have the same color of yarn as yours in this post ! I recently “hoarded” a new set of winter yarns and I was just seeing which one of them would be sufficient for this project and I ended up with the same one !! Actually I had to frog the entire piece which I did for about 40 rows..because the edging didn’t quite come up well. Its slanting here and there. I am actually trying to put the last dc on to the top of the previous dc or chain 3, but don’t know why ! I hope to do it all over again and this time a wee bit more careful ! How can we actually make sure we are going to end up with a straight edge rather than slanting here and there ? Any tips will be useful !!! I read somewhere, but not sure which blog or website that instead of doing the last dc on the top of the previous row chain, it would be better to do a dc on the 2nd chain of the chain 3 so that the edging is consistent ? Has it worked for anyone who may have tried it ? Yes, I am using this method. If you remember to always put the stitch in the 2nd chain, then it stays straight. I am having an issue with the length. I want to make the longer scarf but it seems awful large. I am using Red Heart with Wool. Is the 65 inches for only this part or is it the full length of the scarf? The length is completely customizable – you can make it any length you like. The recommended 65″ is just for part 1 – part 2 will add 10-14 inches more. The full length size is the one shown in the main photo. Hi Tamara, I love that you are so prompt in taking time to reply to each and everyone’s response ! 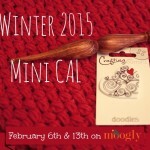 Ok so there’s no right and wrong in crocheting, right !!! Since I am starting all over again, I am taking it slow this time and chaining into second chain of prev ch 3. This seems to work well for me ! Very much looking forward to tomorrow for part 2! The crochet part is coming along nicely, not sure I am putting the last stitch in the right place, but my sides are straight – they look straight to me anyway 🙂 My biggest problem is finding buttons… Large buttons (nice ones) are not easy to find. Thanks, Tamara! If the buttons are only decorative…. Ooooo I have an idea! This is so much fun! Tamera, Your genius is showing again! You are amazing and just brilliant! But I’ve a question: what is the width of the scarf? I am using a light worsted weight (Premier Eversoft) that seems the same as yours, but the first panel is looking too wide. I am currently working on this pattern and loving it. I’m using mary maxim prism in raindrop, and the row repeat of this pattern showcases the prism effect of the yarn beautifully! Thank you for posting this awesome pattern! Oh I can imagine! 😀 You’re very welcome, I’m so glad you’re enjoying it! I love this pattern so much! I just have one question. When you make post stitches, does a row come out shorter than a row of regular doublE crochet? Or do you try to make the post stitches a little longer?